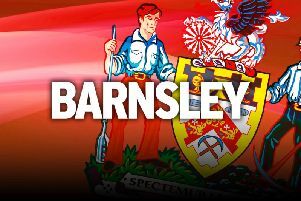 Barnsley assistant head coach Andreas Winkler says the Reds will try and impose their style of play on Shrewsbury tomorrow night but must be more ruthless in the final third. The Tykes were beaten 2-0 at Charlton on Saturday - only their second defeat this season - and face a trip to a Town team battling at the wrong end of the League One table. “I think we missed some points which are very important for us; crosses, forward runs and some one-v-ones,” said Winkler of Saturday’s defeat. “Sometimes you just have to have that winning attitude and will to dribble to the box or to the goal-line and take a real good cross. “Maybe we played too many square-balls to show the opponent team how good we are. Our best idea is to play quickly in front and to have some good chances. "We have lots of self-confidence here and want everyone here to have their best performance tomorrow." Winkler says Barnsley must take “more risks” when going forward at Shrewsbury, who are struggling this term having lost boss Paul Hurst to Ipswich and several key players. “They’re struggling with it and we don’t want to be the team who bring them up,” the German said. “On the other hand, it’s very dangerous to play against them in Shrewsbury. It’ll be a tough fight. “We expect an opponent team near the bottom of the league to fight for every metre. They will tackle and it will be a tough fight. “We have to bring our style of football to them and then I think we have a good chance to win. “We have to find a good rhythm in the match and some game management. “We don’t want to make mistakes in our defending third or middle third and we should take more risks in the attacking third. “It’s a thin line with self-confidence and being a little bit too arrogant. I won’t say that the players are arrogant but if everyone tells you they are the best team, I know why they do it because they want to beat us. The Reds will be without the suspended Daniel Pinillos after the left-back picked up his fifth booking of the season at Charlton. Winkler also revealed Tuesday is “too early” for striker Cauley Woodrow, who is yet to make an appearance for the club, while Mike Bahre will return to training today having missed out at the weekend through injury.